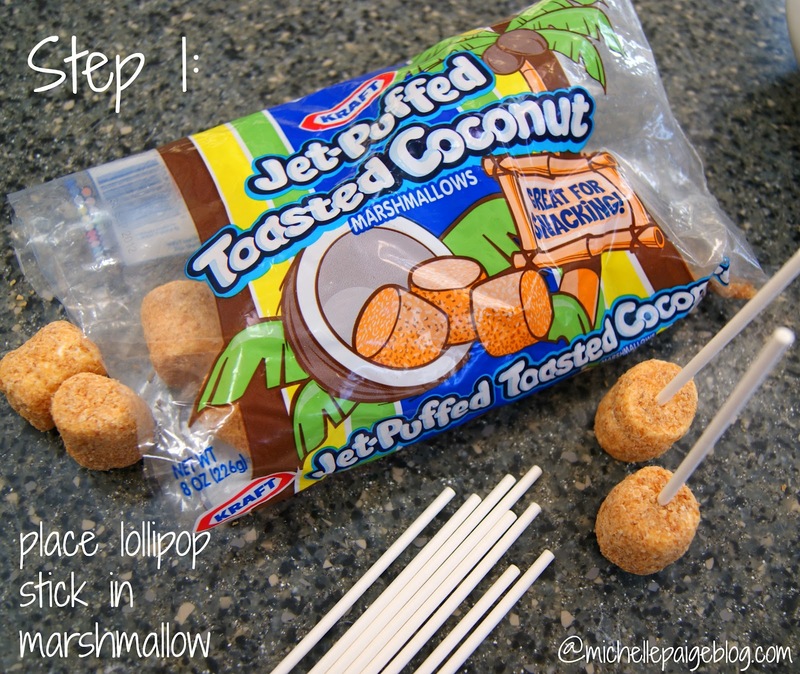 Quick, Ultra-fast Toasted Coconut Marshmallow Pops. That's all it takes for a snazzy dessert. Perfect for your next party. You could practically assemble these as your guests walk in. 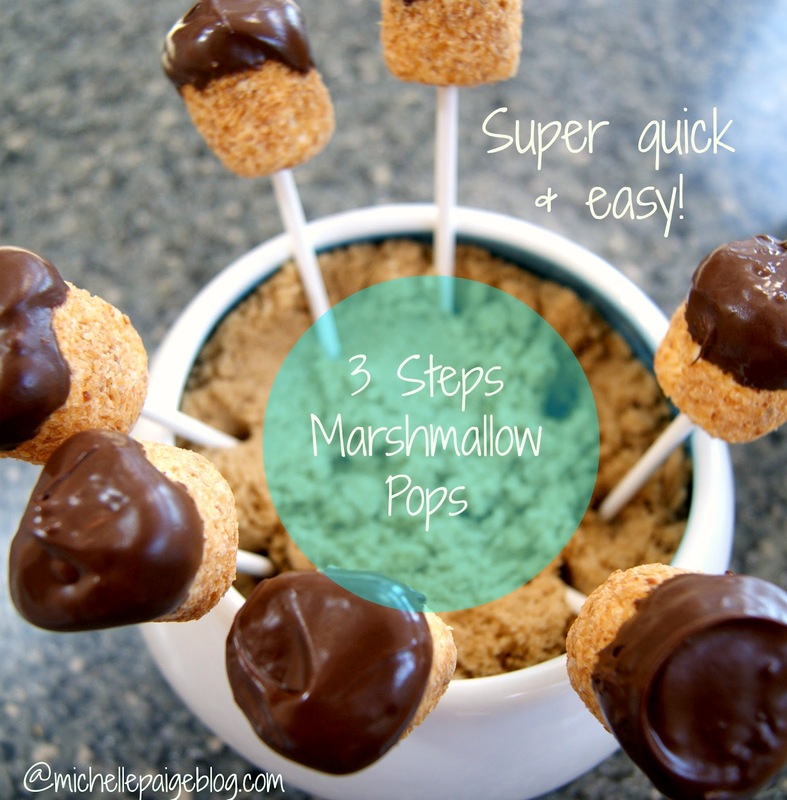 Grab a bag of large marshmallows...any flavor. We love these Toasted Coconut ones. Mmmm. Stick a lollipop stick in each one. 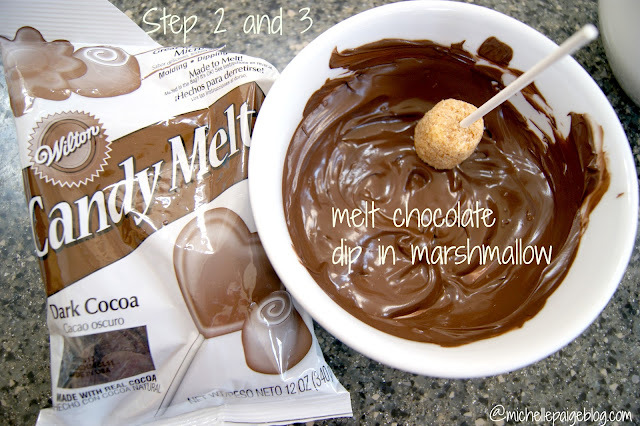 Melt chocolate in the microwave 1-2 minutes. Grab a bowl of brown sugar and stick the pops in to dry. Done! Now, have you ever eaten one of these delicious things? 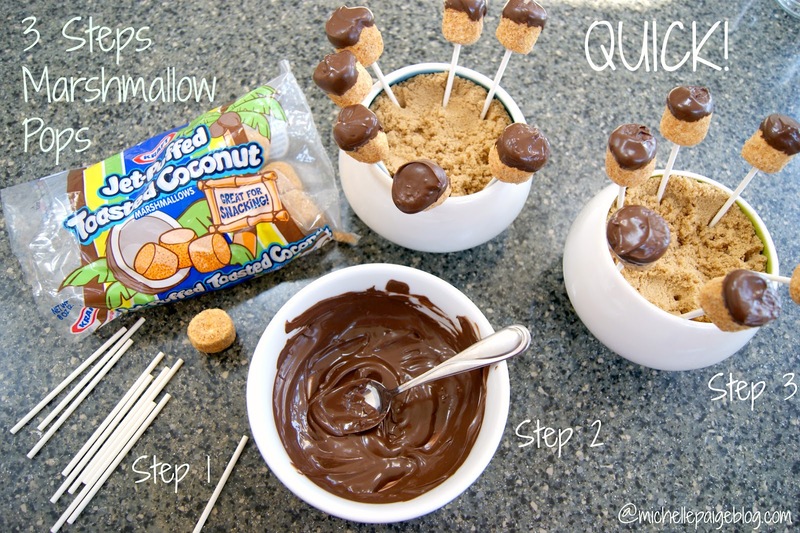 I really need to try those marshmallows. Love these! Awww....you had me at 3 minutes!! Look scrumptious!